Stampede VP bug shield offers both style and function. Each bug deflector is designed to blend seamlessly with your truck's style and it will protect the leading edge of your hood and windshield from damaging rocks & bugs. There's a really good reason why Stampede VP bug shields are so popular. Actually, there are a ton of reasons. 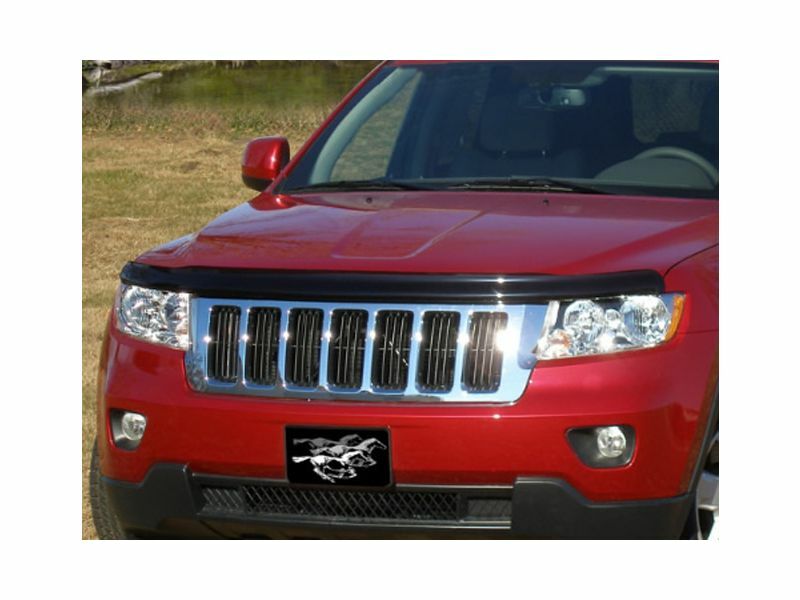 VP bug deflectors are impact resistant, UV stable, and ready to work for your pickup truck or SUV. What does that mean? It means this deflector does its job by deflecting small debris, rocks, and bugs from your hood and windshield. The aerodynamic design creates an updraft that not only does a good job of pushing insects up and over your ride, it looks awesome too! One of the ways the VP bug deflector excels at its function is by molding to the contours of your pickup's hood design. This creates an OEM look and function that gives these accessories two thumbs up in our book. To make washing easier, Stampede has made the VP a stand away mounting system. This saves a lot of effort and energy when it comes time to clean your bug collector. Order your Stampede VP bug shield today! Stampede is offering a limited lifetime warranty against manufacturers defects on the VP series bug deflectors.